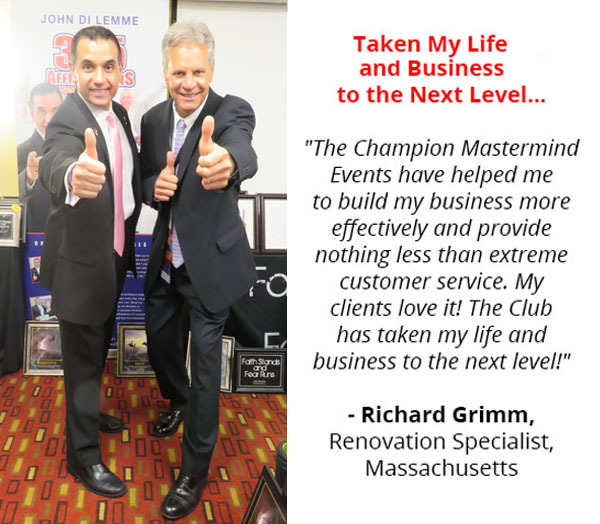 Face Your Fears & Demolish Them Forever? Follow-Up with 100% Effectiveness & Confidence? Be Laser-Focused 24 Hours a Day, 7 Days a Week? Manage Your Time & Schedule Effectively? Delete Negative People from Your Life? 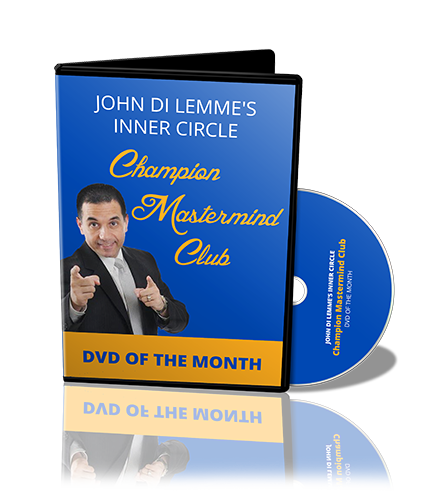 Create a Powerful Systematic Approach to Becoming Successful? 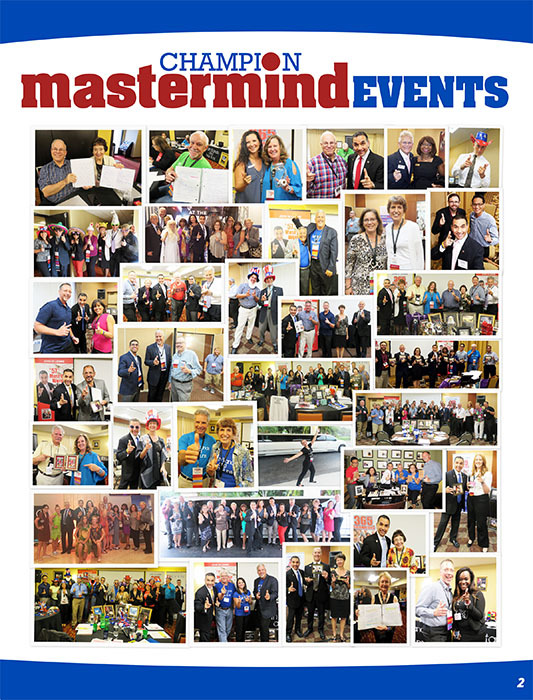 Build a Action-Taking, Fear-Demolishing Mastermind Team? Breakthrough Your Comfort Zone & Take Action? Find Your Ultimate Why in Life Now? Overcome the Fear of Initiating Conversations? 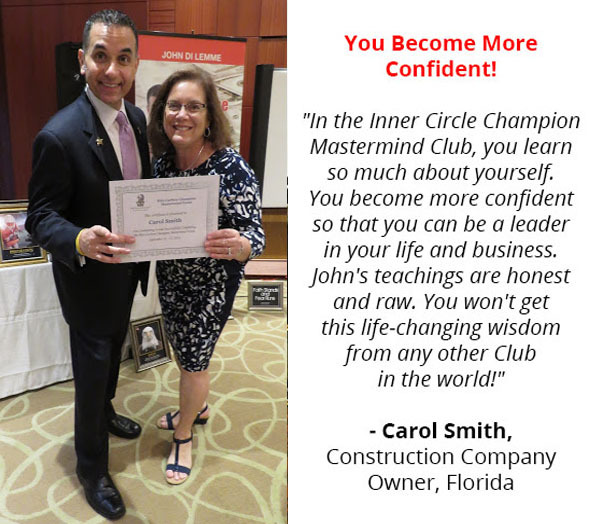 Become a Confident, Powerful Public Speaker? Be Consistently Focused Every Day to Avoid Distractions? Step Out in Faith on a Daily Basis and Demolish Fear? Be Accountable to Yourself and Your Mastermind Team? Close like a Millionaire Champion? 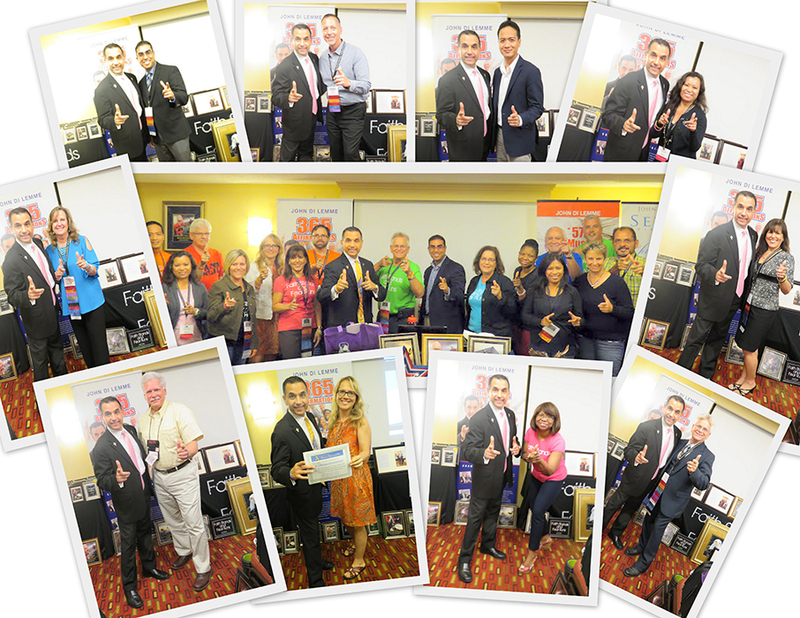 Break Records with Your Sales? Effectively Market Your Business Online and Offline? Build Your Self-Belief & Defend Your Dream? Speak Powerful Affirmations Every Day that Create Massive Results? 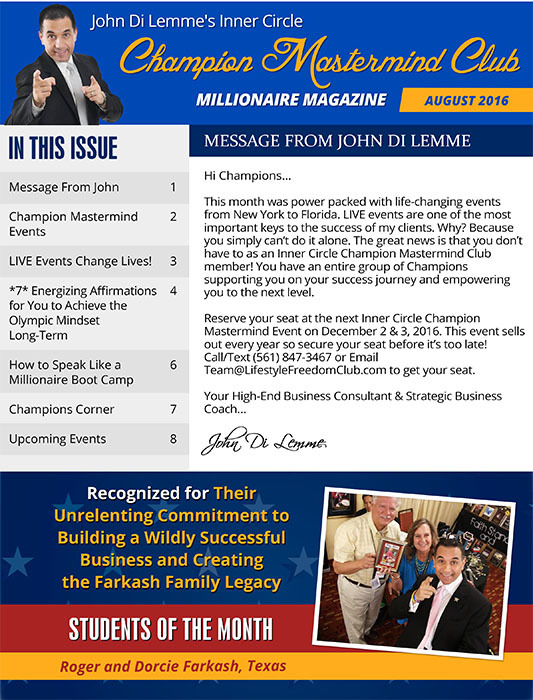 Develop the Belief Structure that You are a Champion? Ultimately, Absolutely Break Every Record in Your Life? 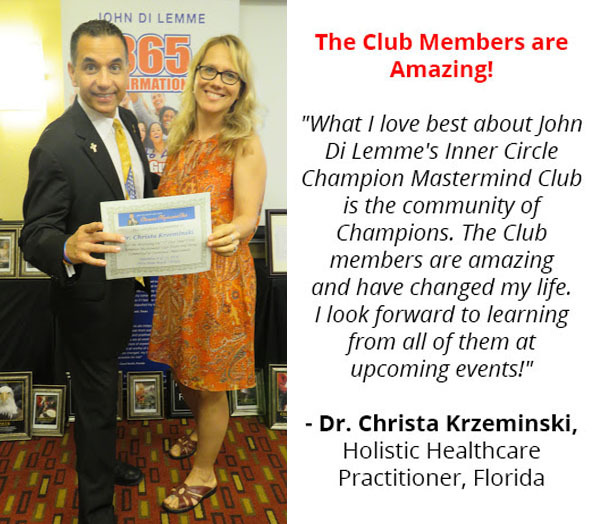 All of This and More is Possible Through John Di Lemme's Inner Circle Champion Mastermind Club Membership! 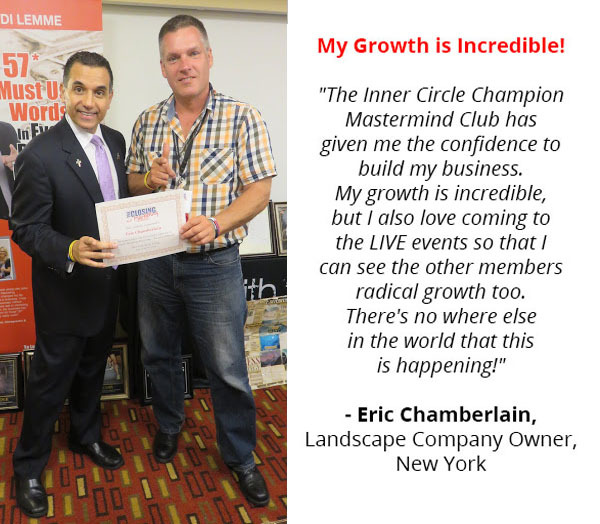 Speak with Our Record-Breaking Team to Discover How You can Become a Member Today! 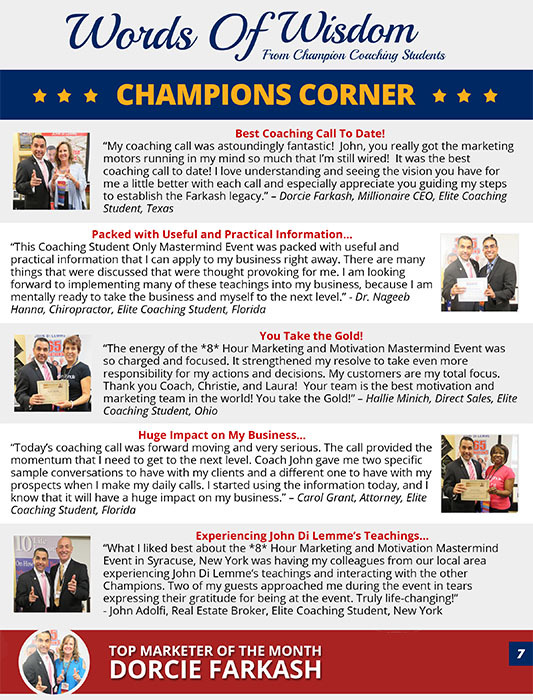 All of the Testimonials on this Page are REAL! They are Not Paid Actors. 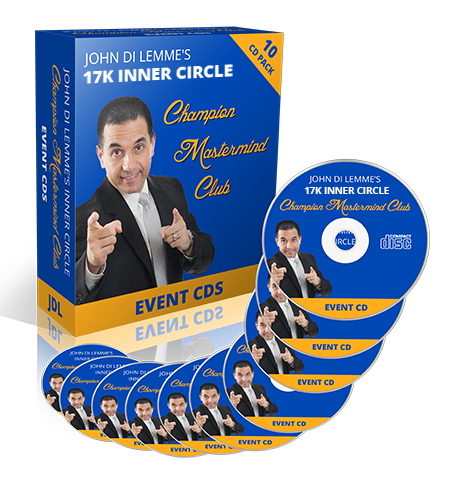 They are REAL People Just Like You that Made a Decision to Change Their Lives Forever by Joining John Di Lemme's EXCLUSIVE Inner Circle. 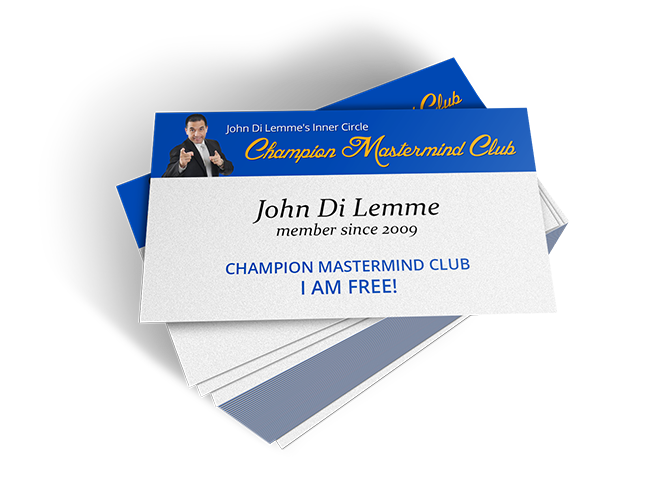 This Membership Could Easily be Marketed for $25,000 a Year for the Results that have been Achieved by the Champion Mastermind Members, but Not Today... Not for You! 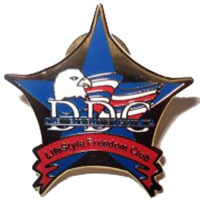 Right Now, I am Giving You the Opportunity to Join this Elite Club for Only $18,000. I can Promise You that My Current Members will Tell You that Their Return on Investment was Over *10* Times that Amount! "John, You are Crazy! Have You Lost Your Mind?" Take Action! 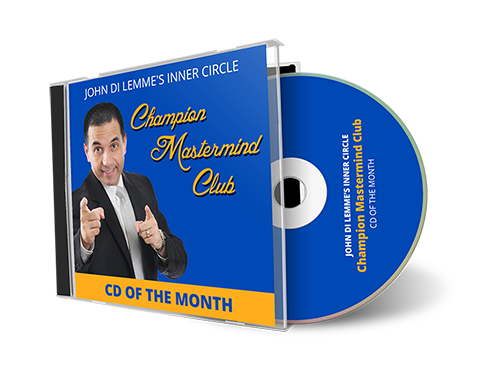 Decide to Finally Change Your Results, and Become a Member of My Inner Circle Champion Mastermind Club NOW! 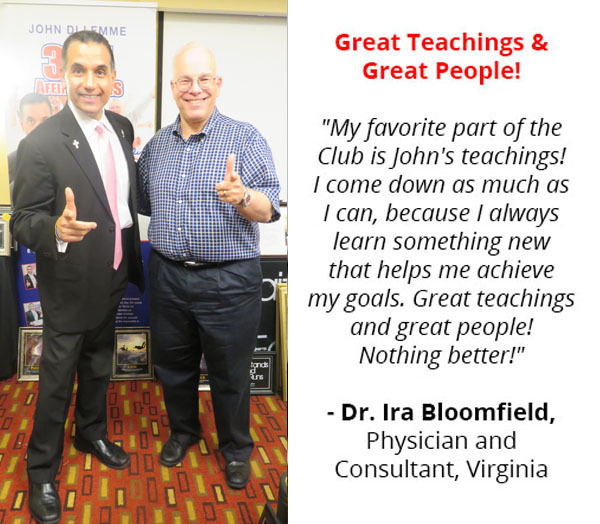 One of the Most Important Things that I Discovered Over 20 years Ago that Enabled Me to Go from a Clinically Diagnosed Stutterer to a High-End Business Consultant, International Speaker, & Strategic Business Coach is that You Become What You Listen to and Who You Associate with. As a Member of the Inner Circle Champion Mastermind Club, You can Make the Decision Today to Start Listening to Life-Changing Wisdom And Build a Millionaire Mastermind Team that Empowers You. Your Future is at Your Fingertips... Grab a Hold of It!